Home / Old Try / At Home in Frisco. This beaut here made it to the home of a fellow who is, himself, a rather prolific artist. 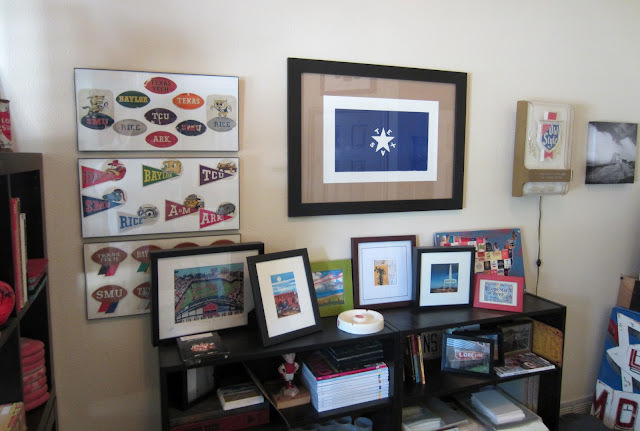 It is always encouraging to see your stuff hanging in the home of someone else who creates. Go give Junky Trinkets, Tumbleweed TexStyles and Texowa a look. I got a feeling, especially if you're from Texas, that there's going to be something there you'd like.